Pest Solution was created to supply a high quality pest control/prevention service to East Anglia and to bridge the gap between the one-man bands and the nationals. Our continuous professional development guarantees the training of the technicians to be of the highest standards, giving you confidence that your pest problem will be dealt with safely, quickly, legally and humanely. The materials and methods available to professional pest controllers often differ greatly from those available on the domestic market and the use of these in conjunction with a full risk assessment, method statement, CoSHH assessment and full treatment reports ensure a professional solution to all pest problems. Combining an extensive knowledge of pests and a commitment to safe procedures, Pest Solution offers Pest Management that you can trust. Our aim is to minimise the quantities of pesticides used and provide customers with targeted non-toxic treatments wherever possible. All pesticide usage is carefully monitored and used in a way to prevent contact with non-target species with all surplus material removed after treatment. This helps protect the environment for future generations. 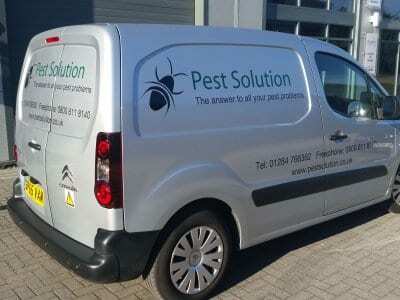 Pest Solution provides a high quality pest control and prevention service to domestic and commercial clients throughout East Anglia.